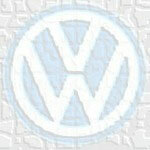 (See "More about Rob" and "More about Dave,"
Welcome to Rob and Dave’s Aircooled Volkswagen Web Pages! As the name implies, this page is devoted to the care and feeding of the older aircooled Volkswagens, particularly VW Bugs (Type 1). Repair and maintenance procedures, experience, pictures and discussion are included here. To find the material you're looking for, click on the Search button above. The Index, particularly, will guide you to hundreds of topics. Some history: Rob Boardman (Adelaide, Australia) kicked this Web site off in December 1998. He started with a few basic VW articles that he had written, primarily stemming from his past experience and work on his 1970 Standard Beetle. Earlier that year, Rob met David Pratt (Richland, Washington, USA) on a VW newsgroup, when Dave was having trouble with his 1973 Super Beetle. Rob responded to Dave's posts, first through the newsgroup, and later directly through personal e-mails. Though they have never met in person, Rob and Dave have become long-distance friends and have maintained frequent correspondence. As the rebuild of Dave's Super Beetle progressed (literally under a big ash tree in the back yard! ), Dave added the procedures he had prepared to Rob's Web page, which the two of them at that point mutually agreed to rename the page "Rob and Dave's Aircooled Volkswagen Web Pages." Not long after this, Dave's daughter Erin, a professional Web page designer, joined the team and proceeded to give the Web page a very professional look. Note: Dave thinks that the best way to get a feel for the magnitude of this Web page (and the easiest way to find the material you want) is through the Index. The Index contains hundreds of entries, each a link directly to the material of interest. The information in these pages is primarily based on our own experience. We don't claim to be expert mechanics by any means. If there are mistakes they are unintentional, and we would appreciate your bringing them to our attention so we can correct them. Though we try to be as comprehensive as we can, there are some topics that are not covered, primarily because we haven't had the "opportunity" of working in those areas. Again, we would welcome your input, and we would be happy to include your material here (with your permission and proper credit, of course). All of the material on this Web site has been extensively cross-linked, both internally and externally, to provide ready access to the information of interest (most of the underlined material are links). We would invite you to peruse the material at your leisure, as there is a lot (we think) of valuable information here. We encourage you to check back often, as we are updating and adding more material to the Web page all the time. It is our goal to address (as much as we can) just about everything associated with the aircooled Volkswagen Beetle. If you find areas that are not addressed, or if you have material you would like to add or that needs correction, please get in touch with us through the "Contact Us" button above. Rob initially designed the page to be mostly text with few frills so that it would load rapidly. Dave, with his digital camera, has stretched this philosophy a bit by adding quite a few pictures, many taken as he progressed through the rebuild of his car. In addition to pictures in the body of the material, Dave has included herein a very extensive set of Pictures documenting his experiences with the rebuild his Super Beetle. There are more than 200 pictures in this set, small at first, but enlarged with a single click on the picture. Be sure to read "More about Rob" and "More about Dave", where you will find find more information about these two guys -- good friends though half a world apart. Good luck with your VW adventure! Let's keep these babies on the road!